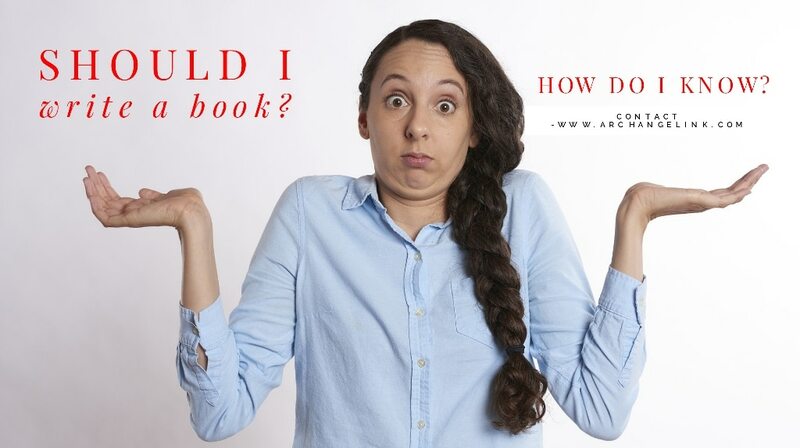 So why should you write a book? We’ll get to that shortly, but I wanted to start with something more fun and share 7 reasons why you shouldn’t. First, let’s bust some myths and then I’ll unveil the #1 reason you should write a book. Like Adam and Jamie from the Mythbusters, let’s grind these myths into dust. To note, none of the reasons listed are necessarily bad, in and of themselves, but if any one of them is your one and only reason for publishing, we urge you to take a step back and have another look. If this is your first book and you will never write again, then I would ask, why are you writing? What made you decide to take the big leap and write a book? If the book’s only purpose is to make money, then you might want to stop and consider other alternatives. There are many ways to make money. Mainly, consider not writing the book at all. I say this as an author who had to learn the hard way that my first book wasn’t going to make me rich. I seriously had those thoughts that I’d write a one and done book. Not saying you are anywhere near as naive as I was, but that was my reality. Could your book be kickass and resonate with people enough to turn on the Amazon engine? Sure! But it will take a lot of work and commitment. If you want to put your best foot forward and build something great from the ground up, then you are in the right place. Most people that publish on Amazon (or elsewhere) make their money not just with books, but with additional services on the backend. If you have a pre-existing audience like Pat Flynn (host of the widely popular Smart Passive Income Podcast) did when he published his first eBook, you can launch it on your site and immediately make money from it. Don’t have any audience like Pat Flynn? No? Join the club. 100+ sales? A fantastic first goal. If you hustle like crazy you could honestly do this. 1000+ sales? Only likely over the long haul. Not impossible short term, but we would never guarantee this. It would take a lot of work and money to hit this sales number with a first book and no audience pre-publishing. While this is a great vision-board goal, becoming a best-seller on Amazon won’t do much for you in the long run. It’s not overly difficult to land in the top category on any one of Amazon’s many best seller lists. While it’s great to see that orange tag on your book that says “best seller” it won’t do much for you long-term—other than bragging rights. My first book, “The Action Diet” got this bestseller tag back in 2016. It didn’t convert to extra sales for the book, nor did it do much for the book’s future. In time, it faded away and was a best seller no longer. Don’t write with the hopes that your book will become a best seller because it doesn’t mean much anyway. If you write the book just because it needs to be written, you still need to ask yourself; is anyone actually going to read it? A book without a solid marketing plan or a particularly powerful reason behind the writing isn’t destined to find its way into hands of millions of Kindle readers. Instead, it’s doomed to fail. If you feel destined to get your story out, consider writing a series of blog posts to share with friends. Your story is incredible, as everyone’s personal story tends to be. But getting a polished book with a great cover and a marketing plan isn’t a small investment. Ask yourself how far you are willing to go to make sure the book ends up in readers hands. If you aren’t willing to put in the work, then it might not be a good idea to put write it. Reason Not to Write a Book #4: You Read a Post Somewhere about Someone Who Made a Bunch of Money On Kindle and You Want to Be Just Like Them. More often than not, these posts are true, and these folks did actually make money. They are sharing this to give you hope, which isn’t bad, but it’s not always as easy as it may seem. What they don’t (usually) explicitly share is that your book probably won’t do as well as theirs did. They probably got lucky and are sharing that lucky success in hopes you’ll sign up to their email list, buy their book, take their course or $5k coaching program, etc. Not always the case, but often. Here at Archangel Ink, we believe in transparency. We strive to give authors that come to us an honest assessment of whether working with us is worth it or not. And we’ve turned people away when we felt if wasn’t a good fit. We welcome authors at any level, but if you believe it’s going to be an easy task of just publishing and watching royalties flood in, then we don’t want to be a part of that. We’re not trying to be dream-crushers here, but we want to work with clients who see publishing as a long-term investment and have realistic expectations. Some publishers will take clients and promise the moon just to get your money. We don’t do that. Our aim is your success, and if we can be part of that—even better. If you are writing a book because you think it’s an easy way to join the 1%, look elsewhere. Writing a book is far more than what it seems on the surface. Even when you finally pen the last word, the work is only just beginning. Marketing should take another 80% of the total time spent with the book if you want to really get it out there. Invest in a writing class at a local college, or better yet, take an online course on Udemy. Write every single day to hone your craft. Use a tool like ProWritingAid to analyze your writing and learn how you can improve. Most authors get bogged down in the details of what goes along with publishing a book that they feel like they never have time to write. Some feel so miserable with the process that they give up writing altogether, and we don’t want this to happen to you! If you struggle with writing, don’t assume writing a book will fix that issue. This may not be a complete myth. But writing a book does nothing for your immediate future. It will be hard to become the author of your dreams (writing on the beach, sipping margaritas by the pool, and having oodles of spare time) if your reason for writing is to leave a legacy. Do I personally want to leave a legacy with my writing? YES! Big time. But I would not suggest that as the reason for writing your first book. We have to be practical in this world, and if we write just to create a legacy, our future impact might be stymied by getting bogged down with the details. Details like not being able to pay the rent, or writing just to keep the lights on. If you want to write a book that will leave a lasting impact, consider the cost (both time and monetary) of writing a book. I know you love creating new things. I do too! I love the feeling of getting a crisp new paperback delight in my hands. There is nothing like the feeling of holding your own book. But this can’t be the reason to write your book. It might give you a major confidence boost—and the feeling of accomplishment is fantastic—but if you don’t know how the book is going to impact your future goals or increase business, it may not be worth it. You can create new things at any time, but consider carefully the reasons behind penning your novel. If the upcoming #1 reason to publish a book isn’t your sole purpose—delay publishing. Why Should I Write a Book? The #1 Reason to publish a book is to begin building a platform and audience for your writing, and find the right people who want to read what you write. It’s not money, best seller status, personal reasons, becoming famous, writing skills, leaving a legacy, or content creation. To be clear, platform building isn’t just online list-building or even brick and mortar displays; it can also be adding efficiency to your existing infrastructure to level up, or clarifying your mission so you can take that next stage. You need to define what this means for your business and future, but the idea is to use your book to grow your reach. If it’s advancing your goals in relation to your audience then you are good to go. If platform building is not your #1 reason to write your first book, then your endeavors will likely return void. Building an audience is the kick start to every other reason you have to write a book! Again, all of these reasons are solid, but in and of themselves are no reason to write a book. You need only focus on platform creation and the rest will follow. Build your tribe around you and the way forward will become clear. You can use your book as a calling card. In his free book The Published Professional, Rob tells the story of how a realtor used his book to establish his bona fides, passively find great clients, and build his platform, earning big money in the process. Your email list is the best way to boost sales with future books on Amazon, and ultimately, procure the goodwill of the gods of the Amazon algorithms. Steve Scott is a big proponent of emails lists for book sales and you can see one of his posts here that gives you the steps to building one. You can spend more time writing! Since you will know exactly who and what you are writing for, more of your time will be spent writing, as marketing and promotion gets easier over time. All Steve Scott or Pat Flynn really have to do these days is send an email to their lists and—voila! Magic happens in the form of 500 sales and continued Amazon success. Surely, they do more than just that to market books and content, but that’s their base reality and the power of having a platform. Don’t make the mistake of publishing a book for any other reason than to start building a follower base, whether online or off. Now that I’ve convinced you, let us know what questions you have on our publishing process, platform creation, or maybe you need help coming up with a book idea? Comment below…We look forward to hearing from you and connecting further! Love the transparency and reality of this post. Writing a book is hard work. Bringing it to market is even harder. And promoting it is not fun for some of us. I’m so thankful for Archanhel Ink’s help as I get ready to publish my first book. Thanks For the post, Rob!